Know how sometimes you second-guess yourself? I wasn’t sure I wanted to do a print edition of my new book, The Seven Day Manuscript Machine: Edit your children’s book to perfection in under a week. But then I thought, why not? Costs nothing but about a million headaches formatting the thing. I’m so happy I did. The proofs came today and they are absolutely beautiful. An ebook is definitely still a book. But it’s not a BOOK like a book is a book. If you know what I mean. Somebody emailed me last week to say he didn’t love the choices of fonts, but honestly, I think the combination I picked works very well together. I’d love to hear what you think. I am utterly thrilled with the size of these, by the way. It’s exactly 120 pages. Too thin to have text on the spine, which is a shame, but also thin enough that it’s not a daunting project to take on. Somewhere between an ebook and a full-length writing manual, this definitely feels like something that is “do-able” by an average writer in an average week. I really believe anyone can use this book to make their own story (stories!) sing. I can’t wait to get feedback. As I post this, you still have a few hours to pick up a Kindle copy free (I think it’s on until midnight, August 31st). Three FREE graphics programs writers need in their arsenal. Need a quick tweak for an illustration or cover? It doesn’t have to be a pain. I promise, I’ll make this as easy and low-tech as possible. Ideally, a professional would handle anything image-related, from changes to illustrations to adding text to your covers. But for small fixes, you’re not stuck with Windows Paint. And even if you’re not planning on doing a lot of image manipulation, there are good reasons why you need a reliable paint program to turn to from time to time. Obviously, you don’t want to spend a ton of money, which is why I’ve gathered this collection of three good, stable choices that you can download and start using absolutely free. This program is free, fast to load and pretty nifty. It’s also very bare-bones. There is an “upgraded” professional membership for $15 a year that gives you access to more features. I don’t know that it’s worth it, but the free one is a handy tool to have. 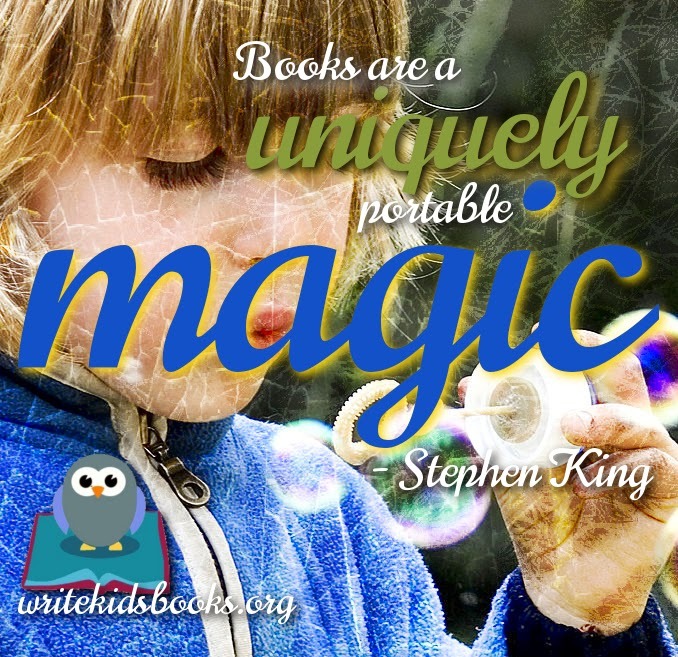 Inspirational quote infographics about kids, books and writing. Feel free to borrow and use any of these on your own site, facebook or elsewhere. I’d love a link back if you could include one. Will update this page as new infographics and quotes are created. Click each graphic to see full-size. What quotes inspire you??? Let me know in the comments! Are editors and agents sick of YOUR book? 11 things they don’t want to see. Don’t hit the send button just yet. Before you email (or snail mail) that manuscript, make sure you aren’t sending an editor (or agent) a book she’s already sick of seeing. It’s not like it’s tough to read their minds. Editors, agents and other publishing professionals are out there giving interviews. They are sitting down with bloggers and newspaper / magazine writers, mostly begging us (as writers) to please not send them certain books. Let’s listen to what they’re saying for a minute. Can you hear them all? 1. Rhyme. “I am SICK of seeing rhyming picture books with bad meter and rhyme. Ugh. Is there anything worse? No. No, there’s not.” – editor Josh Plattner, via Writers’ Rumpus. Two, (no, three!) heartwarming indie books. A lot of people send me books. But I don’t write a lot of reviews. It turns out, I’m much too picky. Two books arrived recently that were actually just right for us to read and review (check out my review guidelines before sending anything). Another is a series that has been waiting far too long, so I’ll throw it in here for good measure. I read the first two tonight, out loud, with my kids. All of these books have a lot going for them. It makes me excited to be an independent author, honestly it does. It’s like the book says: it was the best of times, it was the worst of times. These books are some of the best of what’s out there. 8 mistakes to avoid while writing for children. On my niece's seventh birthday, I wondered what would be an ideal gift for her. I decided to gift her something which would be beneficial for her in future. Seeing her inclination towards story books and comics, I thought it would be much ideal to gift a story book. And what could be a better gift than a book written by me? With full throttle, I started jotting down a set of stories for her, all well thought on the present situations and issues, stories of high values and morals. Finally, I got the book bind from a local bookbinding shop and gifted it to her. Three years have passed since then, needless to mention that my book is a history now.All because the next time I visited my sister, I saw my book carelessly turned over the floor by the side of the kennel. Apparently, my niece was using it as a sleeping tent for her doll. My sister told me she had discarded the book, announcing it was boring. That really broke my heart and I wondered what went wrong. Anyways, that experience was a lesson. I still want to gift a personalized storybook to my daughter and I know exactly how to go about it. Here are eight reasons to why some children's books are so popular while others never get off the rack. The first step to draw a child's attention to a book is to make it look good. Pictures attract all of us; many of us still drift the pages of a magazine without actually paying much attention to the text. Sometimes, it’s good to be backed into a corner. I live here, too. And I love it. I love sharing tools to create excellent children’s books, whether that’s tips on publishing, marketing, or actually sitting down and writing or editing the thing (and getting it illustrated). 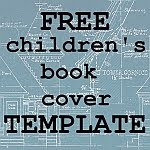 Did I mention I have a guide coming out to self-editing your own children’s book? I love every aspect of this process, even editing (and with this book, maybe you will, too). But it does get lonely sometimes. It’s a fun corner, but there aren’t a lot of us around. We aren’t very high profile, and there aren’t many folks to keep us inspired. Then somebody like Sean Platt comes along, a proud indie author who makes his living and supports his family writing his heart out in science fiction, fantasy, nonfiction and more, to the tune of tens of thousands of words a week. Plus he does a couple of podcasts. Plus… (get ready for it)… he writes kids’ books. But you’ve never seen his books, and he says you never will. That’s because he writes under a pseudonym: Guy Incognito, a name swiped from a Simpson’s episode. Choosing vocabulary that dazzles your reader. Big words, little words. What begins with words? All of our stories do: words, words, words. Words are the building blocks of our stories. So it stands to reason that we should try to choose the right words, words that will move and dazzle our readers – at whatever age and reading level they currently find themselves. The rest of this post is an excerpt from my upcoming (now available!) book, The Seven Day Manuscript Machine: Edit your children’s book to genius in only a week. Don’t worry; I’m not about to bawl you out for picking words that are too long or inappropriate for the age group you’re writing for. Choosing the vocabulary for your children’s book can make a difference when it comes to finding young fans. You don’t want to choose “baby words” that are so simple your target audience feels like you’re talking down to them. No reader, of any age, likes to feel condescended to. On the other hand, if your target audience is lost and confused when they run into too many unfamiliar words, your story will crash and burn. How do you challenge your reader just the right amount? If you’re writing early chapter books to encourage a reluctant reader, keep your vocabulary simple, your action fast-paced, and your sentences short. 9 ways reviews are sweeter than chocolate – and how you can get more of both. Everybody knows reviews are a good thing. Someone recently asked me that, and it left me thinking. Why are we so obsessed with reviews? Good reviews, great reviews, 5-star reviews, hundreds of reviews. Why do reviews mean so much? Here are 9 reasons why they’re a totally sweet addition to any indie publishing career. They feel great. If you’re at all passionate about what you’ve written, it’s great to know that people are reading your books and talking about them. Social proof. Buyers who see your books listed on Amazon or wherever can’t tell if they’re good or not. Other people, preferably >100 other people, who mainly liked it, are good proof that your writing is tolerably decent. Momentum. When people review or star your book, Amazon and other sites will recommend other, similar books - hopefully YOUR other, similar books. Infectiousness. The more reviews your book has accumulated, the more likely it is to be suggested to people looking at similar books. Access. Libraries won’t even consider a book without reviews. It’s possible that they won’t take your self-published book even with reviews. But if you have an “in” with a local branch or library system, you do have a chance as a local author – if you have that proof that your stuff is good. More access. Ditto for schools. Social karma. Yes, self-pubbed writers write reviews for other self-pubbed writers. It doesn’t count as buying reviews as long as it’s not a straight “quid pro quo” (“you give me 5 if I give you 5”) As long as it’s a book you can honestly put your name behind. As long as you’re not afraid to give fewer than 5 stars or to decline to review a book you don’t like. Easy to understand. As Amazon and other sites make marketing your book more and more complex, the appeal of a straightforward, no-nonsense review becomes even more clear. Agents like them. So do editors. Self-publishing one book doesn’t mean you can never go with the traditional model, and with a following, you’re more likely to get picked up. The reading world has been burned by review-buying scandals a couple of years ago. However wonderful it feels to rack up a stack of reviews… keep it above board. Sure, you may be able to buy a few reviews this way in the short term. But the minute that reviewer crosses Amazon’s Terms of Service (like when they take money for reviews), Amazon has the right to yank their account(s), and any reviews they’ve posted. Especially those reviews you’ve just paid for. Hundreds of writers have been burned as these bad apples have turned up over the last couple of years. Don’t be part of the next batch of authors left holding a rotten old core. Oh, and don’t write reviews of your own books under creative pen names, like this author did. Please Like, Share and pass along this deal. FREE UNTIL AUGUST 14 ONLY! Learn a little about Israel's modern history and its most beloved songwriter in this short kids' chapter book! This week (Aug 10-14), my book "Naomi Shemer: Teaching Israel to Sing" is FREE for Kindle. CLICK HERE TO BUY THE KINDLE VERSION FREE UNTIL AUGUST 14. I started writing this book when my daughter, named after Naomi Shemer, was a baby… but only finished it last year, when she was 8. A long time in the making, but I think it’s worth every second. (And I loved reading it to her and telling her about the amazing lady for whom she’s named. Acclaimed in her lifetime as the "First Lady of Israeli Song" and the author of unforgettable classics like Jerusalem of Gold (Yerushalayim shel Zahav), Naomi Shemer is almost unknown in the English-speaking world. With its engaging, straighforward narrative, this book opens the world of Naomi Shemer for the first time to English-speaking children and their parents. Come find out what made her special. Book Trailers for Dummies: does your children’s book need one? No, I’m not a dummy. And we’re not suckers, either. So why does everybody make book trailers seem so complicated? Why is everybody trying to sell us fancy-pants services that will help us sell our kids’ books with the help of video trailers? The first and most important thing to know about book trailers is this: nobody really knows whether a book trailer ever, in the history of the universe, made anybody buy a book. Still, I’m a sucker for new ideas, and thought it would be cute to try doing a few for my new books. And it turns out they’re quick and easy. Granted, mine don’t look totally professional (bit of an understatement). But given the fact that each of the three I’ve made so far took under an hour and cost exactly $0 to create, upload and promote, I think this is an effort well-spent. They’re hopefully not going to hurt sales, right? Also, the more of them you make, the quicker you’ll probably get at it. You’ll need a few things before you start. A piece of music you like and are allowed to use free. My go-to spot for this is Kevin McLeod’s site, incompetech.com, where you can find any type of music you care to use. Remember to give him credit in your video! Still images from your book. Video shots (optional), either of you reading the book, kids reading it, etc. I haven’t done this yet, but you can, and it would probably make the end result more interesting. Take a look at my own trailers. So how did my own trailers come out? I’m going to let you judge. Why hiring a fiverr artist for your kids’ book WON’T destroy the universe. Since I posted about how to get your children’s book illustrated for $5 at fiverr, many, many people have raised some pretty strong objections. If you listen to these people, you might justifiably believe the world as we know it would come to an end if we buy illustrations through fiverr and similar sites. But I’m here to assure you that it won’t. I read books, too. I hate poorly-illustrated books, and refuse to share them with my children. Bad illustrations are offensive. And so many self-published books look terrible. But if you read through my original post on hiring an illustrator through fiverr, you’ll see that I’ve given you a built-in way to avoid finding a terrible illustrator – although, of course, there’s always the chance that a good illustrator will draw bad pictures for you. UPDATE #2: A third-world fiverr artist speaks up. An important post for anyone looking to have their book illustrated, whether through fiverr or not. Written a book and now you need pictures? Some of us have the artistic talent to illustrate our own books. Some don’t have to think about pictures because they’re hoping to snag a traditional publishing contract (don’t even think about submitting a manuscript with pictures unless you’ve drawn them yourself). For the rest of us… there’s shelling out for illustrations. And one popular way to do that is through fiverr. I’ve ordered and received literally hundreds of illustrations through fiverr now – and had mainly good experiences. Are you truly going to get away with spending only $5 per picture? Probably not… but that $5 price tag is going to help you out in a few ways, so keep reading. Fiverr illustrations… step by step. 1) Write a great book. I don’t even think about pictures until the book is just about perfect. Typos, maybe. But the plot and scenes should be finished. 2) Divide your book into pages. Don’t leave this to chance. You wouldn’t walk into a housewares store and say, “I need… some plates.” No, you need 8, or 12, or however many. So don’t wander onto fiverr with the vague idea that you need “some” pictures.